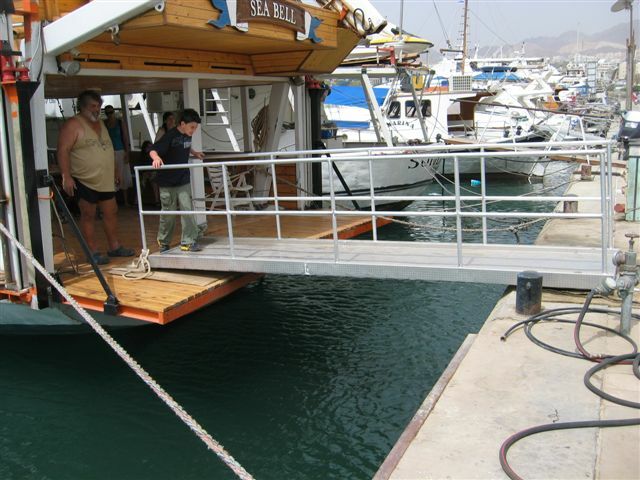 The Seabell is the only accessible ship in Israel suitable for people with disabilities. The 100-foot sailboat includes 3 decks, an open area, an area with tables and an amazing bar. On the boat you can enjoy a cruise with adventure sports attractions such as: diving, swimming, action towables, ski, fishing and amazing views. 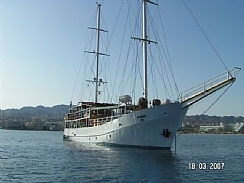 The ship is comfortably designed with wood flooring and wide spaces for easy movement. Access Israel volunteered consulting services to make the ship accessible. Accessibility features include: an 80 cm wide gangway with handrails on both sides (easily accessible for any type of disability), disabled toilets with handles, an accessible dressing room with handles. 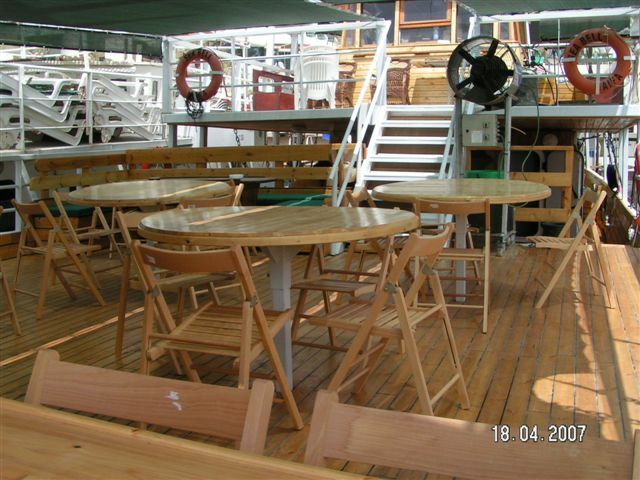 The deck has accessible tables and an air conditioning system. A hydraulic ramp enables safe and comfortable descent to the water for people with disabilities for any of the sea sports activities you choose. Note: an elevator to move between decks will be installed soon. The captain of the ship is Simshon Mashiah – a sea veteran who views this project as an important personal mission. The boat allows cruises to individuals, families and groups up to 150 people.